To be sure of receiving any of our novels in time for Christmas, the last date for ordering direct from the publisher, FeedARead.com, is today. You still might be able to pick up paperbacks in Waterstones, Bridport, or by approaching the authors direct. But you can get Kindle copies of A Town Like This by Maddie Grigg and The Borassic Coast by S C Geraghty at any time. Just go to the links. Maddie's comic novella, A Year in Lush Places: tales from England's rural underbelly, inspired by life in a West Dorset village, is also available on Kindle. Order our books in time for Christmas! Two of our novels are available on Kindle for immediate download. Go to The Borassic Coast and A Town Like This. We hope you have a really enjoyable Christmas and look forward to seeing you (in cyberspace!) in 2014! It was a launch party like no other. 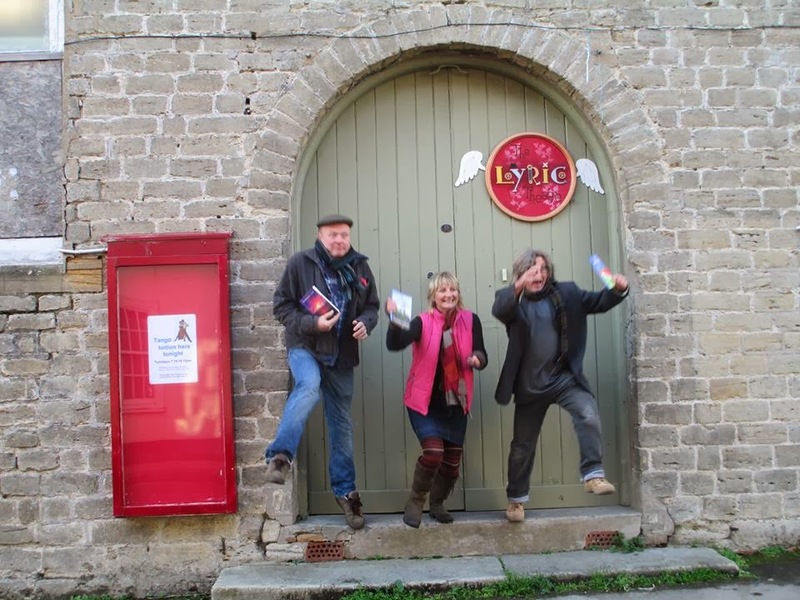 In the quirky Lyric Theatre, in Bridport's Barrack Street, we chatted, we nibbled, we tapped our feet and listened to the music. Wo-ah-ah, listen to the music. We marvelled at the flock wallpaper, we drank pints of Thatchers cider and glasses of wine and caught up with old friends. 'Are we in it?' was the recurring question of the night as people leafed through the books before parting with their cash. 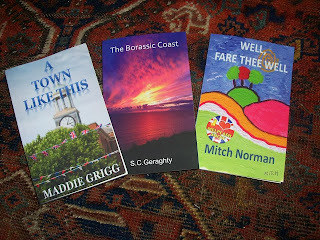 Last night was lift off for The Bridport Press and our three books - Well, Fare Thee Well by Mitch Norman, A Town Like This by Maddie Grigg and The Borassic Coast by S C Geraghty. Maddie was greedy and also slipped in her book, A Year in Lush Places: Tales from England's Rural Underbelly, by popular request. 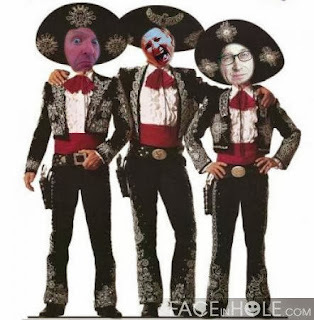 But then, Mitch and Sean also slipped in a CD or two. Poor Mr Grigg. Two hours in the Lush Places community shop and then manning the book stand at The Bridport Press launch. The man deserves a medal. As does the lovely Hadassah, who'd spent the afternoon hard at work putting all the nibbles together. At the end of the evening, one of the three heads of the hydra that is The Bridport Press realised we hadn't taken any group photos. So a few blurred shots taken by others and you kind of get a picture of how it went. So thanks, one and all and all for one, for turning up in such numbers and with such smiley faces. 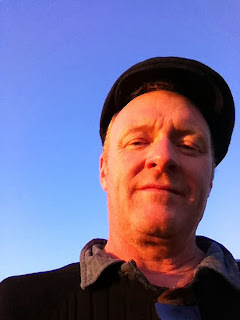 There will be more news of The Bridport Press to come, the hydra is not dead just yet. So keep watching this website and our Facebook page for more news. In the meantime, if you couldn't make it last night and would like a signed copy of one of the books, we'll be at Bridport Arts Centre craft fair tomorrow morning, selling hand-crafted words from Dorset. And if that's not a possibility, you can order the books from the FeedARead site or from all good booksellers. Our thanks to Nick at Waterstone's, Bridport, for hosting today's book signing session. You can get copies of the book from the store in East Street or order them via the FeedARead website. We're also having a launch party this coming Thursday at the Lyric Theatre, Barrack Street, Bridport (please put your name on the guest list or let us know via our Facebook page). There will also be another signing session at Bridport Arts Centre on Saturday 30 November at a day time craft fair. The books make ideal Christmas presents - each one is different but very much a real, thick slice of Dorset life. It’s a comic farce based on my early days as a local newspaper reporter in Bridport and, before that, Newton Abbot. Basically, the plot centres on what happens when a know-all journalist from London comes down and tries to make a name for himself. He is unprepared for the bizarre twists and turns that happen after royal newlyweds move into a nearby stately home. I began writing it in the late 1980s. It went through several different drafts before I ended up with the version I have now. Why did you write it? What was the inspiration behind it? A local newspaper office is a fertile breeding ground for the most amazing characters and situations. I’ve worked with some truly larger than life people and I’ve come across so many odd and interesting stories in Dorset and Devon over the years. I wanted to capture that sense of weirdness. I like to tell a moralistic story with completely off-the-wall bells and whistles attached. I’m a surrealist at heart, living in a parallel universe, and hate injustice. Why did you wait until now to publish it? It’s a confidence thing, really. Years ago, I had great feedback on the first draft from my friend and mentor, Dr Who scriptwriter the late David Martin. But I didn’t do anything with the manuscript. Then, on the day of David's funeral in 2007, I had a bit of an epiphany and decided to start writing again. I did a couple of creative writing courses with The Open University and found my writer’s voice. This past year, I’ve been living in Greece which gave me the time and creative focus to get on and finish A Town Like This and come up with new ideas. After that, I contacted Mitch and Sean as I knew they had both written novels some years ago which were inspired by West Dorset. 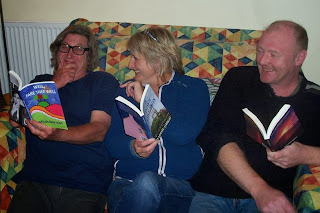 I suggested we publish together under the umbrella of The Bridport Press. I figured there might be safety in numbers. It didn’t start out with one. Themes can be a bit grand or contrived for a simple soul like me, especially where farce is concerned. But I realised at the end, A Town Like This is about loyalty, a sense of place and social justice, with decent people coming out on top and bad people getting their just desserts. Of course they are. But they are an amalgam of people with whom I have worked and known over the years. 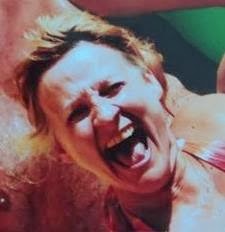 There are three characters – Ketty, Bertie and Elsie – who are based on real people but two of them are dead and one of them is me. To be honest, the real Bertie was far more colourful in real life. I like the scene where Winkle is interviewing the illegal immigrant he comes across in Elsie's attic. I also like the ending at the local agricultural show. The real show is always one of the high points of my Bridport year because it’s often on my birthday. Give us three words to sum up the book’s style. Are there any more books in the pipeline? Yes. 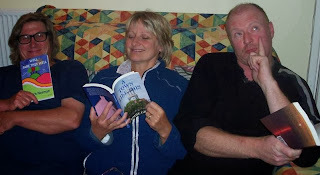 I published A Year in Lush Places earlier in 2013, which is a novella based on my blog, The World from my Window, which takes a sideways and affectionate look at life in a West Dorset village. I think a sequel could well be in the offing. But first I have Kalimera Kerkyra: A Year on a Greek Island to finish, which tells the story of my Big Fat Greek Gap Year in 2013 when I lived in Emma Tennant’s family’s house. There is also the first of a trilogy based on a Stuart time traveller which begins in West Dorset in 1651. I’m not sure about that one. And there is also a book based on Facebook statuses which tell the funny but poignant story of my eight-year-old grand-daughter who is getting wiser by the day and my friend’s elderly mother, who has dementia. It’s going to be called Glad to be Faye and profits will be split between the special care baby unit at Dorchester and The Alzheimer’s Society. Dorsentric life: a flipside to the over-simplified image of a tranquil rural idyll. It is a dark and harsh view at times, but also has some mordantly funny moments to break up the clouds. Some sections written over a decade ago, others more recently, all revisited and reworked extensively in 2013. I wanted to connect a collection of short stories I'd been working on. 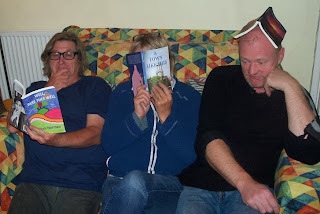 Each one had Dorset in common, when I put them together it began to map out a rich, peculiar and sometimes brutal world. I got into it and things began to take on a momentum of their own. I wasn't confident enough and I didn't know how to pull off the ambition of the idea. It dawned on me that if I was ever going finish it, I just had to knuckle down and find out how to. So I got some help, and I tried a bit harder. It looks at quite a few themes. I wanted the Dorset coast and landscape to be a sort of 'anvil'; a beautiful but dangerous place, like a desert full of hazards and mirages. There's quite a body count by the end. Some events happened to real people, or are based on personal experiences, some ideas came from dreams and a lot more comes from developing a particular set of circumstances. There are several departures into the unknown. One section started as a short film script. When I began writing it out in 'longhand' it seemed to have greater potential and depth. Favourite bit was holding a finished copy. There is a part 2 and I have begun piecing it together. I haven't finished with some of the characters yet and there's a few more to introduce. The trials of angst-driven youth and their experiences with first-love and living in Smallville, UK, while trying to adhere to a diluted Mod culture. 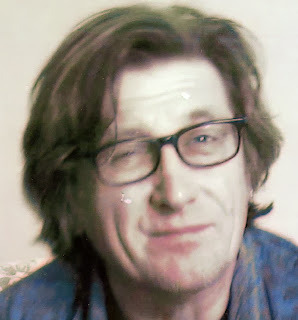 About twenty years ago. I had typed it out on an old Smith Corona typewriter. The manuscript had moved around with me to various locations. I found it at my present dwelling in a drawer in my garage. I always wanted to write a book. I was asked to join the 'Bridport Press'. It's a mixture of fiction and experience. Yes. I might finish it. You can read extracts from all three books by following these links to get to the book pages of the FeedaRead website. Scroll down to find PDFs. We've finally got a date for our official book launch. It's going to be on Thursday 28 November at the Lyric Theatre, Barrack Street, Bridport. 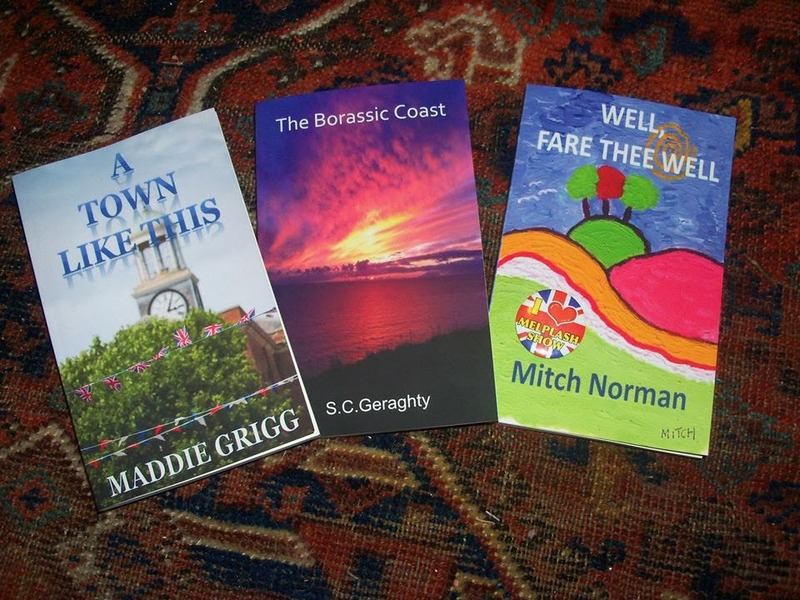 We'll be saying hello, good evening and welcome to The Bridport Press's trio of books by local authors Maddie Grigg, S C Geraghty and Mitch Norman. Come along for book signings, readings, live music, nibbles, maybe some dancing, much frivolity and literary musings. If you can't wait until then, our first signing session is at Waterstones, Bridport, on Saturday 23 November, 10am-noon. Well, as you can see, here at The Bridport Press we're getting just a little bit excited. We're as skittish as only a three-headed hydra can be. That's because we've been discussing the launch later this month of our three new books. You can find out more about each book by looking at the relevant pages on this website and following the links to buy copies. There's information about the authors too. We're set for several events, the first being a signing at Waterstones, Bridport, on Saturday 23 November, 10am until noon. There'll be a launch party the following week and a signing and selling session at Bridport Arts Centre on Saturday 30 November. Whether we can agree about which pen to use to sign the books, though, is another matter.